The food and drink category is bigger than ever on Pinterest. That is why having a focused strategy for Pinterest marketing is especially important nowadays for food bloggers and food photographers. 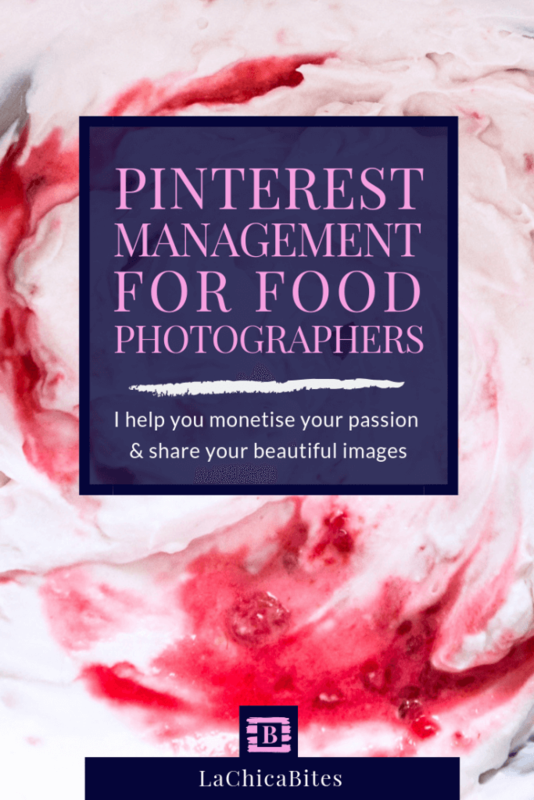 Whether you are a recipe developer, you teach food photography or you are a food photographer and stylist, use the benefits that Pinterest has so that your posts stand out above the rest. I divide my services into 3 packages, because each client needs something different. If you already have a business account on Pinterest but you do not have it optimised or if you want to create it from fresh for your business, this package offers the perfect base on which to continue working. Clean, reorganise and improve the account with SEO strategies, essential to rank your content high on Pinterest searches. To maintain the growth in followers and visits to your blog or website, it is necessary to have a daily activity. That’s why the EXPERT plan is a monthly plan where I become your Pinterest Manager. I will help you keep your valuable time, so that you can maintain the professional quality of your services. Perfect for actively publishing professionals with a lot of existing content. With this option you will have EVERYTHING you need to get the most out of digital marketing on Pinterest. Concentrate on what you are passionate about and watch your visitor numbers grow! I always tailor my services as a Pinterest Manager to my clients’ needs, because every food photographer is unique and needs an specific Pinterest strategy. My services are a cost-effective way to boost your traffic, let me guide you and help you on how to boost your traffic and spread your beautiful images and recipes to the bigger audience. Let’s grow your audience and subscribers now!